No doubt you will be spending the next 18 months to a year getting yourself perfectly preened for your wedding day. You’ve probably looked at countless Pinterest pictures of wedding hairstyles and thought about what style and make of make-up you want to make you look your radiant best. But what can you do to get your Groom looking dazzling? Make sure he reads my wedding grooming tips for men and he’ll be perfectly groomed to greet you at the bottom of the aisle. Lay off the booze the week before. It’s best to get the stag do out of the way at least three weeks before your wedding and then in the week before try not to drink too much. I know it’s tough as people will want to give you a good send off but taking it easy on the alcohol front will make a lot of difference to the state of your skin and eyes. Get plenty of sleep. Both you and your partner should be getting plenty of early nights in the run up to your wedding. Try not to stress about the fine details now, you’ve both done as much as you can, now it’s time to concentrate on yourselves and making sure you don’t have huge bags under your eyes in your wedding photos. 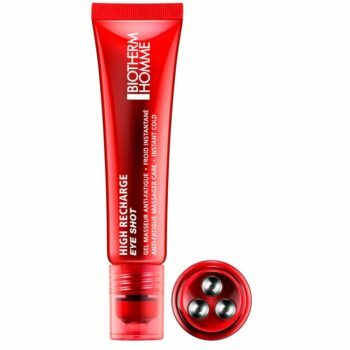 If you should need a quick shot, whack some Biotherm Eye Shot under your peepers. Get a decent haircut. If you usually spend a tenner on getting your haircut maybe it’s time to splash out a bit more to get your locks looking sharp. 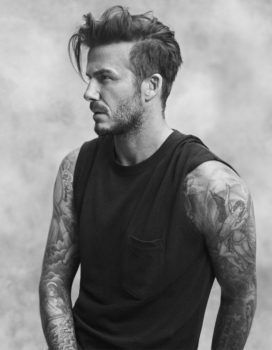 Have a look at this guide to haircuts for 2017 from The Idle Man then make an appointment with a Toni & Guy specialist who will talk to you about a good look for you. Tame your whiskers. More and more grooms are sporting beards these days so it’s important to keep your whiskers in check. 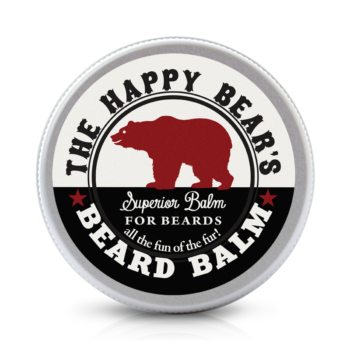 Get a proper trim from a barber and then use a product like Happy Bears Beard Balm to give it a good shine and a bit of control. Trim everywhere else. No one wants to see some errant nose or ear hair popping out on your wedding day so get some clippers and give it a trim. Also check your eyebrows as well and give them a clip if they’re straying into ‘west country farmer,’ territory. Facial’s aren’t just for girls. About two weeks before your wedding go for a facial, this will leave your skin looking radiant and ready for photographs. Keep it that way by drinking plenty of water and eating well. Visit the dentist. Book an appointment to see your dentist around a month before your wedding and get them to give your teeth a good old clean. Start using a whitening toothpaste as well and then avoid too much coffee, tea and red wine before you get married. Wax. No, not your legs, unless you’re planning on doing some Olympic cycling . But if you’re planning a honeymoon in the sun then defuzzing your back and shoulders is probably best for all concerned and means your future wife won’t get her nose tickled when she spoons with you.